I am a veteran. What do I need to know? For those currently enrolled in VA health care programs, your health care coverage meets the requirements under the Affordable Care Act. You have met the requirement to have health insurance that began in 2014. You do not have to take any additional steps to get health care coverage. Depending on your income, you may also qualify for free or low cost coverage from Health First Colorado (Colorado’s Medicaid Program). Find out more on our I Need Health Insurance. 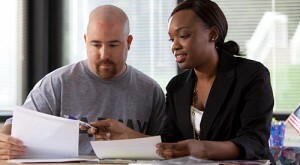 Veterans not currently enrolled in VA health care program can apply for enrollment at any time. Remember, most people are required to have health insurance coverage, or pay a penalty if they do not. You can also see our frequently asked questions.